Are you one of those CA’s who feels that they missed the internet wave or are you one of those who wants to take the entrepreneurial plunge. Internet was and remains a vast pool of opportunities for amateurs and experts alike. You can hire our CA website design services and choose from a wide option of Responsive Website templates that will cater to all your professional and business needs. 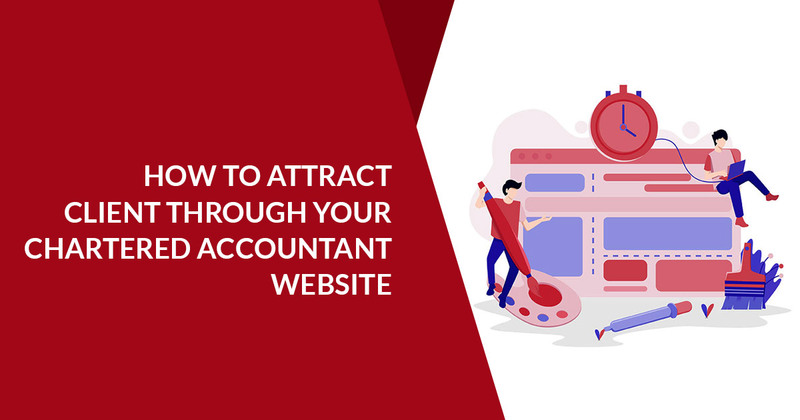 In this blog, we go a step ahead and explain the next step in the tried and tested approach To Attract Client Through Your Chartered Accountant Website Blogging remains a major customer attractor for major web services and Chartered Accountant Website is not an exception to it. Owning a website is easy and cost friendly. Some companies offer website development and maintenance packages at minimal cost. It serves as your official internet address as well as helps in brand promotion and increasing clientele. An accounting website is a cost-effective and easy way to reach out to and connect with potential customers. The key to creating a successful accounting website that serves as a marketing tool is to create a loyal reader base. This necessity of good quality content. A blog must provide readers with something of value and a clear call-to-action. The blog post must be regular and updated. Not sure how to make those things happen? Here we explain some of the much-practiced marketing tactics employed by a wide spectrum of online service providers to attract customers. We have ensured that the points listed below apply to the promotional strategies and services needs of a Chartered Accountant website. 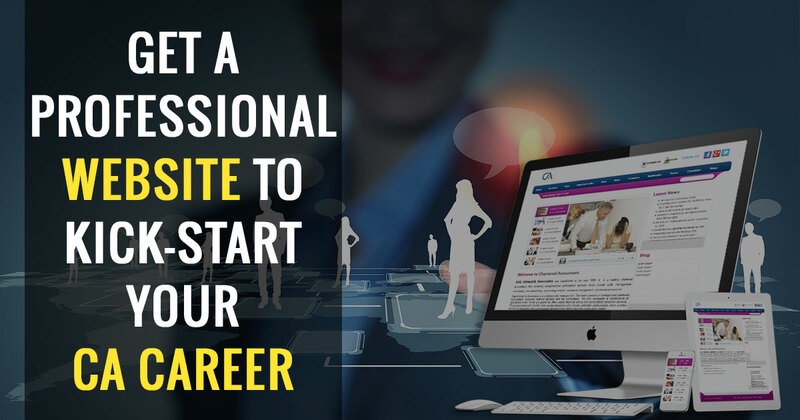 A website is an ideal gateway between you and your potential clients. With great content and a little patience, you can build a long lasting relationship with potential clients. And an accounting website helps you in more than one ways towards achieving this goal. Not every first-time visitor is going to be ready to set up an account with you, but they may be mulling over the idea and gearing up to hiring an accountant. However, one sure way to capture a visitor’s attention as well as gain some important brownie points is to offer freebies or first-time login rewards like free evaluation or ebook that explains a difficult financial concept. Besides goodwill, the offer will also serve as a sample-proof for the quality of work and in the process, help turn potential customers into long-term clients. The landscape of Online Marketing has changed since its inception in the early internet days. Almost all services have an online presence these days. But only a few of these services gain popularity and success. There are two main reasons for this: Patience and Content. Patience and Great Website Content are keys to a prolific online presence. While in the early days, with patience one can generate traffic but over time it would be the web site’s content that would be the main driving factor in converting website visitors into clients. The Internet is a truly global network offers a dozen options for a particular service. Hence, to stand out among competitors one should focus more on quality over quantity. To lure potential clients during their decision-making process, ensure that your website looks good and most importantly post periodical quality content on your site. Our CA web design package offers a host of services to individuals like you in need of a Chartered Accountant Website. “Make a customer, not a sale.” – Katherine Barchetti. These words are evergreen and explain the very importance of engaging with your potential clients. And it becomes infinitely important when the only medium of exchange is a new CA website. Be prompt and always revert to comments received on your website. Also, do follow up on all comments. Take the social media route to generate buzz. Ask Questions on social media and post your thorough responses in apt time without delay. Remember, at the end of the day the person on the other side of the screen will judge parameters like company’s professionalism, skill set, and profile based on these responses. A good, precise and prompt response will project the CA firm in good light and go a long way in building a huge customer pool/list. Nobody likes to be sold to, but everybody likes to buy. And most users on the internet want to buy or opt for services that best fits them. Hence, customize and incentivized offers that specifically cater to the specific accounting needs are an important accelerator in customer make sure that your ads offer correlates with the content of your accounting website. Keep in mind that even if the offer is free, it will be taken/accepted if and only if it somehow strikes the right cords of the website visitor. Hence, you should consider creating a free offer that is specific to the subject matter covered in every post. A proper understanding of the audience’s interest is the prerequisite to attract their attention with offers and packages catering specifically to their needs only. Blog Posts are the perfect medium for a low-pressure sales pitch. If over a span of considerable time you have garnered a substantial pool of satisfied users of particular services, it is high time that you Use your accounting websites to up-sell your services. A precise blog post on how an upgrade to more in-depth service would further make their experience more efficient and beneficial in the long run can be the ideal catalyst in this regard. This would entice them to opt for the next tier of available services in case they avoided the offer on the first contact. Again a blog post can be the go-to tool for cross-sells. A blog that highlights other useful services on offer can be a gentle reminder of the services that your dedicated pool of customers is missing out on. Business operations can be taxing at times and staying in touch with all your dormant customers can be a complex deal. To lure them back will require a special effort from you. A periodical Loyalty Rewards programs blog, however, eases the load by a great margin in this regard. It will not only keep you connected but most importantly your customers will feel how appreciated and important they are to you. Keeping your clientele aware of the perks they are missing out on promises great returns as well as a stronger customer relationship in the long run. The customer expects you to have knowledge of their stuff, not just your stuff. This is a classic potential customer syndrome. Most potential customers aren’t even sure why and what services to opt for. The accounting websites solve more than just these problems. It can be a perfect tool to create the need for your goods and services. It precisely explains. How useful you are to them. Why they must opt for the services. This may seem like a scare tactic at first glance but this is an essential step ahead to create product awareness and communicating its benefits to the end user. A pure accounting website can transpire to potential customers if and only if it can attract readers. However, incorporating seasonal articles on your websites can have a booster effect on readership. It is now an accepted fact that compared to mundane technical articles, seasonal topics shine much brighter and lure more readers. An example that cements this point is the fact that articles on How to File ITR Returns enjoy great readership numbers when compared to point straight articles on ‘Types of ITR Returns’. Variety is the spice of life and so it is true for blogs too. Your blogs need not follow a monotonous root. This can even sway readers away. With times, the format of blogs has also changed. Now popular websites boast of a rich multimedia experience with great images, gifs, etc. use them to freshen the appeal as well as garner attention. Also, integrate social media features on your blogs so that it can also be shared by potential clients/readers. Last but not least, also post random blogs on important happenings and topics that may impact your readers in some way or the other. Help them learn more about your industry. This will not only empower them but also increase their trust in you. How-to guides, Infographics, Slideshows, ebooks, podcasts and all kinds of other content are not just mere sources of free information. On the hindsight, they hold a great intrinsic value that forms the basis for a great client-server relationship where the service provider also plays an important role in matters that affect their clients for free. The key is to know your audience and write about a variety of issues that they are interested in. Provide them with something of value, include a clear call to action and the best process to contact your company and you will rapidly start turning website readers into true customers. In conclusion, we must add that an intuitive and user-friendly website with best design templates remains an important factor for a great online presence. Unless the website is neck to neck with present standards, it is unlikely to attract visitors at first place. So for the blogs to really do well, the website design is of paramount importance. Also, refrain from directly sharing price lists on your website unless a special offer or basic details. Share your contact details as well details of the business development team on the website. This will open the advantage of getting in direct contact with a potential customer. 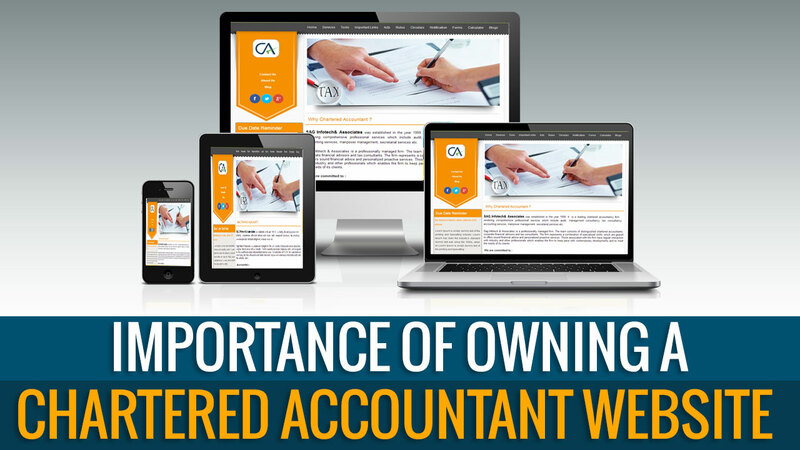 We hope that this blog will be a helpful guide to Attract Client Through Your Chartered Accountant Website. For more on this and to choose from a wide template CA Website Design please visit CA Portal.